I had my birthday on Saturday and I’m officially in my last year beginning with 2. I’m guessing next year I will freak out a bit, but for now I’m feeling great. I got to spent my birthday with most of my loved ones and I had an awesome time. The best thing was my cousin was here and I haven’t spent my birthday with him in quite a while. I got to dance and laugh and eat great food, ok and drink a lot, and that’s how it’s supposed to be. No matter that I’m getting older. The thing is that I had so much fin that I have no photos from the last 3 days. 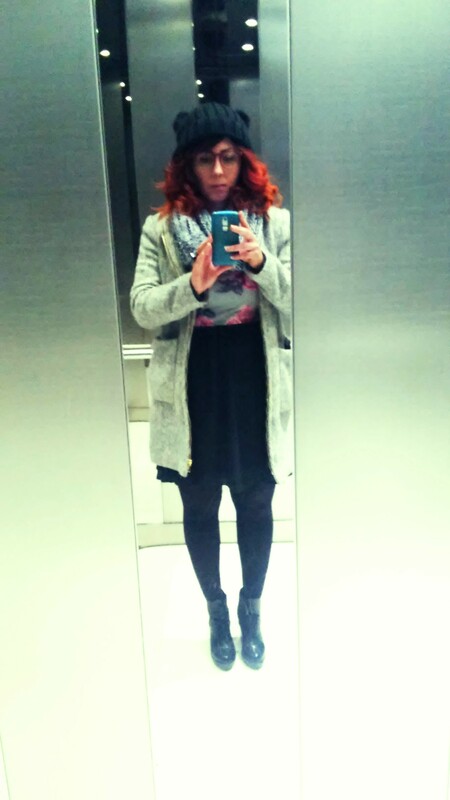 But as I’m still celebrating today at the office I thought it’s time to also share my new fiery hair. Hope you like it! Set the world on fire with your dreams and use the flame to light a birthday candle next year, HAPPY BIRTHDAY !! wishing you all the best!